Members of the UK Parliament returned to Westminster for a special session Monday afternoon to pay tribute to assassinated Labour MP Jo Cox, placing red and white roses on her seat. In Parliament for today's recall in memory of Jo Cox - mood of utter sadness and a determination to pay tribute to a truly wonderful person. Parliament had been in recess to allow members to campaign for the Brexit referendum, but they collectively put things on hold for two days after her murder. Campaigning resumed Sunday, just in time for the TV morning chat shows and schedule speeches. Prime Minister David Cameron said Cox “brought out the best in people” and remembered her aid work in Africa and support for refugees. “Quite simply there are people around the world who are only alive because of Jo,” he said. 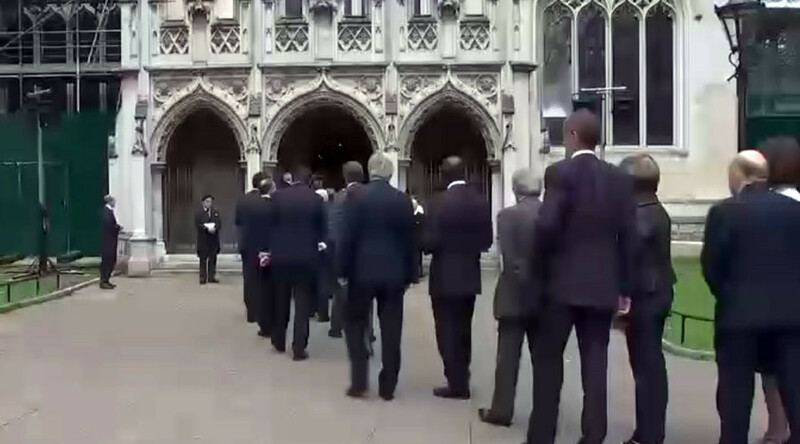 MPs had planned to sit together regardless of party affiliation as a sign of unity before moving on to St Margaret’s Church for a short memorial service, but normal seating arrangements were maintained, according to the BBC. Thomas Mair, a Neo-Nazi-linked 52 year old from West Yorkshire, allegedly yelled “Britain First” as he shot, stabbed, and reportedly dragged the 41-year-old mother along the ground by her hair. He has been charged with her murder and appeared in court on Monday via video link from Belmarsh prison. Thomas Mair, the man accused of killing the MP Jo Cox has appeared again in court via video link. He spoke only to confirm his name. The act of terrorism outside a library in Birstall prompted an outpouring of public grief by communities from all walks of life. Appearing at Westminster Magistrates’ Court on Saturday, Mair gave his name as “death to traitors, freedom for Britain” and was charged with murder, grievous bodily harm, and possession of a firearm with intent to commit an indictable offense.